Riverfront lot on high ground in desirable Highland Shores community. Views from the lot include downtown Wilmington, Cape Fear Memorial Bridge, ship and boat traffic on the Cape Fear River, in addition to the wildlife and birds who call the River home. This lot sits up high above the river so flooding concerns will be very minimal. The lot is accessed from the private paved road and is on a cul de sac. The location is beside the clubhouse and pool and the access to the boat dock/slips. All of these amenities are private and only the Highland Shores owners can access. 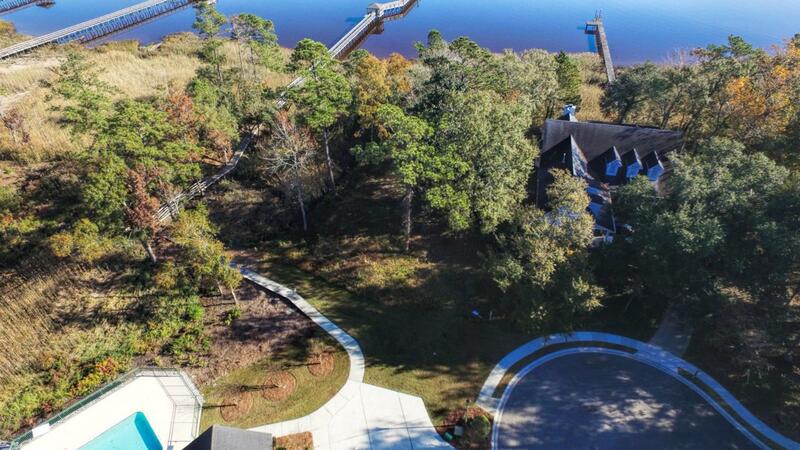 Highland Shores offers clubhouse, pool and community boat dock. Boat slips are sometimes available to Highland Shore property owners for purchase. Listing provided courtesy of Ashley B Garner of Intracoastal Realty Corp.